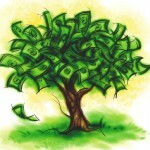 Alvina Zondi is a waste-preneur from Sweetwaters. This inspirational woman collects waste in her community and barters it with the WILDTRUST for livelihood support items or cash. The WILDTRUST is proud to partner with Wedgewood Crafted Confectionary to deliver on its first ‘Plastic Neutral’ initiative. Wedgewood is a KwaZulu-Natal based business that has a proud history of investing in its community and working to reduce its environmental footprint. Recognising that its operation uses in excess of 20 000 kgs of plastic annually, it has entered into an innovative partnership with the WILDTRUST – aimed at offsetting its plastic footprint. The offset will be enabled through an Extended Producer Responsibility (EPR) fee for every kg of plastic that it uses in its operations and packaging. 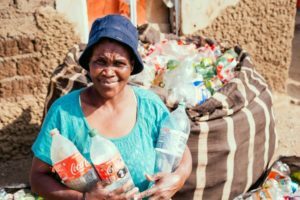 WILDTRUST will use the EPR fee to source unrecyclable plastic packaging through its network of 715 Waste-preneurs and 130 recycling schools, villages and businesses, and then use this plastic to produce Green Bricks. The WILDTRUST Green Brick operation is a world class innovation that will ultimately enable the conversion of 1000’s of tons of unrecyclable plastic into building material that can be used to support social projects across the continent. The Green Brick innovation has been developed in partnership with USE-IT, a Durban based recycling non-profit, and funded by Dow. The Green Brick is a uniquely South African innovation that upcycles a mix of sand, glass and previously unrecyclable multi-layer post-consumer waste. Wedgewood and the WILDTRUST will audit the amount of plastic used and offset each month, and Wedgewood will be able to brand/ certify their products as ‘Plastic Neutral’. 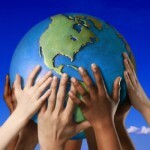 “This is the first initiative that generates a value on all types of waste plastics that is seriously scalable. As more manufacturers come on board, the vision is to establish regional waste innovation centres where it is needed most. Imagine how it would revolutionise the way people looked at waste plastic if it was worth R2 a kg?” said Paul Walters, Director at Wedgewood. 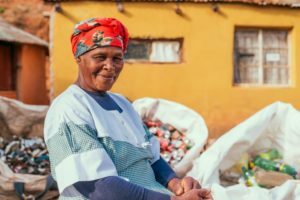 Ngenzeni Dlamini is one of around 317 Waste-preneurs in the WILDTRUST network changing the face of her community by collecting waste in and around her homestead daily. The Green Brick is a uniquely South African innovation, that upcycles a mix of sand, glass and previously unrecyclable multi-layer post-consumer plastic waste. 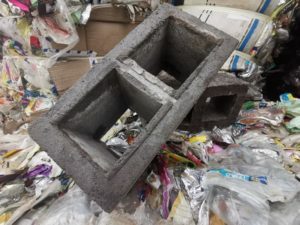 Not only does the Green Brick find a solution for the global issue of multi-layer waste, which previously could not be recycled, but it is a beneficiation that addresses a local demand for building materials to enable housing and other infrastructure. Through this innovation, the WILDTRUST intends partnering with responsible businesses to significantly reduce the amount of plastic waste in our rivers and oceans. The first brick plant has been established at the WILDTRUST Recycling Depot in Howick, through support from the Dow Impact Fund, and will produce on average of 20 000 bricks a month and 240 000 bricks a year. To start with, the intention is that these Green Bricks will be bartered with WILDLANDS Waste-preneurs for the equivalent value of recycling collected, further enhancing a circular economy. “Unfortunately, this is an uncomfortable conversation to have with big brands that are responsible for huge volumes of the plastic waste being produced daily. Wedgewood, who produce small quantities by comparison, approached us asking what they could do and how they could make a difference – which is admirable and instils hope in us as an organisation striving to build a sustainable future for all,” concluded Langenhoven.